We choose to live in Sandy Hill. Who wouldn’t? It’s an urban, eclectic, ethnically diverse and socio-economically mixed neighbourhood. It’s a 15-minute walk to downtown, the Rideau Canal and the Byward market. It connects to the NCC Rideau river bike path system. It boasts excellent French and English neighbourhood schools, a community centre and an arena. It is home to some of the most beautiful and lively urban parks in the city, including Strathcona Park. It is embedded in Canada’s history, with four Canadian Prime Ministers having called it home. And it is a neighbour to the University of Ottawa. Sandy Hill is under pressure from the University of Ottawa’s growing student population. But it is not alone. Post-secondary students now make up 10% of the population of the City of Ottawa, a number that is increasing annually. The student housing pressures being felt in Sandy Hill are also being felt in Old Ottawa South, South Keys and Nepean. And, as South Keys discovered a few years back, the demand for student housing will pop up where people least expect it as light rail expansion continues. Students are an important part of our city; they help to keep it young and vibrant. Post-secondary institutions bring with them social, cultural and economic benefits. But to expect neighbourhoods to absorb increasing numbers without proper planning and resources will be disastrous for Ottawa and is honestly not fair to students who deserve adequate housing and amenities. Nor to neighbours who wish to welcome them without fear of losing the quality of life that attracted everyone there in the first place. First and foremost, post-secondary institutions must take responsibility for their growth. For example, the University of Ottawa has nearly doubled its student population over the last twelve years with little consideration for their housing needs. Of the over 42 000 students the University of Ottawa hosts every year, it houses only 2885 students on its 42.5 hectare campus. The University of Ottawa clearly must do better to provide students with on campus housing. 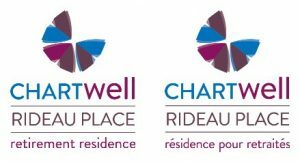 Carleton has set the right example here, by taking responsibility and recently announcing a new residence on-campus in partnership with a private developer. Second, the City must work with residents to respect existing plans for urban neighbourhoods and preserve Canada’s unique history. Allowing landlords to jam 20 students into what was a single family home and call it development does not constitute good planning; nor does putting the onus on residents to make multiple 311 calls constitute effective by-law enforcement. The City of Ottawa must show leadership on this front, by working with residents and institutions to develop a city-wide student housing strategy. This strategy should work in harmony with the new $2.1B light-rail plan. We encourage people to visit Sandy Hill. Spend an afternoon at Laurier House. Spend a sunny day at Strathcona Park or an evening wandering Sandy Hill’s historic streets. Go and see a movie at the Bytowne. Pop into one of our neighbourhood pubs or coffee shops. See why Sandy Hill is important to Canada’s past, present and future; why we choose to live here; and why it is worth preserving.